The IDSA’s 2015 annual conference is in San Diego this October. LymeDisease.org, the MayDay Project, and the San Diego Lyme Disease Support Group are teaming up to hold a protest there. Events will take place in front of the San Diego Convention Center, October 9th – 10th. The protest will start Friday, October 9th at 9:00 am, and end at 3:00 pm. A candlelight vigil on Friday night will honor victims of Lyme disease, from 6:00 pm – 7:45 pm. We will protest again on Saturday, October 10th from 9:00am – 3:00 pm. Scroll down on this page to learn more about why we protest against the IDSA. Click here to see the event’s Facebook invitation. The Infectious Diseases Society of America’s current Lyme disease guidelines make it hard for people to get properly diagnosed and treated for Lyme disease. And because these guidelines are followed by many insurers, patients often have to pay out of pocket for most of their Lyme disease treatment. The guidelines are also used as a sword against physicians who choose to treat patients suffering from chronic Lyme disease. Failing to follow the IDSA guidelines can get doctors in trouble with their state medical boards. Many have lost their licenses. LymeDisease.org and the national Lyme Disease Association filed comments on behalf of 67 patient groups across the nation. 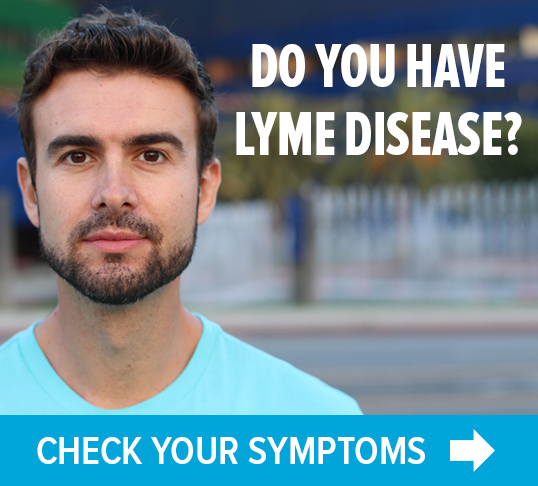 Also during the comment period, LymeDisease.org launched a nationwide survey to solicit views from Lyme patients. It drew more than 5500 responses in 10 days. We included findings from that survey in the comments we filed. We are deeply troubled by many aspects of the IDSA’s guidelines process. The IDSA says it will comply with the Institute of Medicine’s standards for creating trustworthy guidelines. Yet, it appears the IDSA is already violating the IOM’s recommendations. The IOM says the panel should include representatives of key affected groups. But, this panel includes no Lyme patients and no physicians who treat them. It also leaves out researchers who don’t follow the IDSA’s lead regarding Lyme disease. The panel instead includes many IDSA researchers who have consistently excluded patients, opposed their viewpoints, and at times publicly belittled them. The IOM says there should be two patient representatives on the panel, to bring the patient perspective. 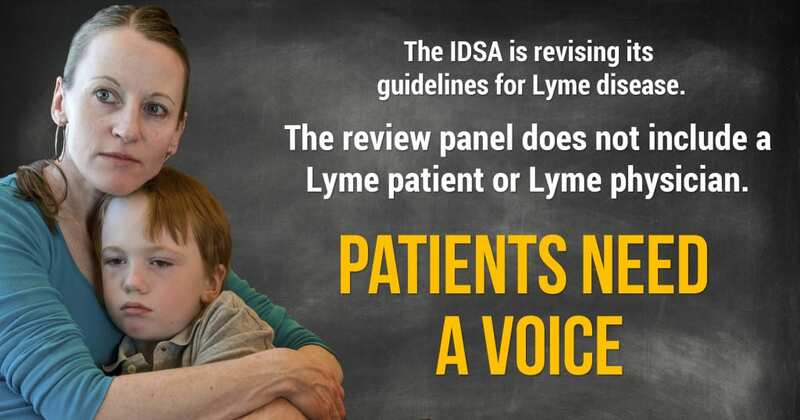 Rather than selecting anyone who represents the interests of the Lyme community, the IDSA chose a “consumer representative” with no knowledge of or experience with Lyme disease. 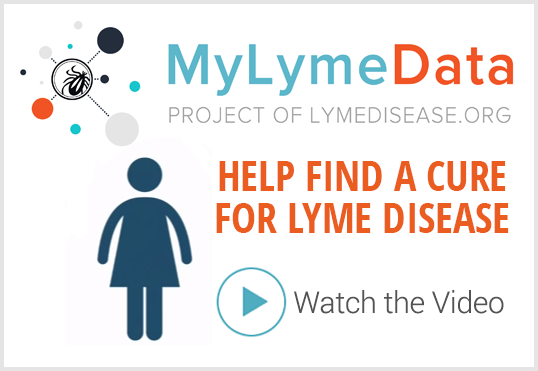 How will that person help the panel understand the views and struggles of Lyme patients? We agree with the IOM that there should be two panelists representing Lyme patients. Both of them should have personal experience with Lyme disease and be knowledgeable about related issues. Both should be respected within the Lyme community as capable representatives of patient interests. The IOM also requires that patient preferences and important patient subgroups be considered by the panel. The IDSA process makes this unlikely to happen. We will send the panelists a summary of “patient perspectives” from our survey. But that is no substitute for effective patient representation. All were implicated by an antitrust investigation by the Connecticut Attorney General in connection with the development of the 2006 IDSA Lyme guidelines. Key members from all three organizations who sat on the panel of the 2006 IDSA Lyme guidelines as well as two of the organizations, the AAN and IDSA, were subject to the investigation by the Attorney General. The bottom line is that each of these organizations has an interest in supporting a guideline development process that vindicates them and their members from the damage to their reputations incurred in the anti-trust investigation in connection with the development of the IDSA 2006 Lyme guidelines. Developing guidelines that confirm the recommendations in their 2006 Lyme guidelines would accomplish this goal. The panel is supposed to take a systematic, impartial and rigorous look at scientific evidence related to Lyme diagnosis and treatment. Yet that doesn’t seem to be the IDSA approach. The 2006 panel ignored studies that didn’t support its pre-drawn conclusions. And 40% of its citations were to research studies authored by members of the panel. The new panel seems poised to go down the same inappropriate road. Before it even starts deliberating, key members appear to be trying to “front load” the evidence. How are they doing this? By rushing to publication a number of biased journal articles, which they can then cite as “evidence” backing their position. This is stacking the deck. It’s making sure you have your biased research on the top of the pile, then reviewing it with your own eyes and finding it top rate. Panel members should not be in a position to review and promote their own work while excluding work of their peers. That is not an unbiased review. It makes a mockery of the scientific process. The current Plan fails to provide the type of process integrity essential to creating trustworthy guidelines. We believe that the Plan to should be revised to achieve the following goals. The IDSA/AAN/ACR panels should be balanced and represent scientists and physicians from both opposing Lyme paradigms. Robust patient representation (2 or more) is important and should not be token. Patients should be empowered and prepared patients who represent the population affected by Lyme disease. Consensus should not be obtained by excluding people who disagree. Controversies and disagreement should be acknowledged. Minority viewpoints should be published with the guidelines. A public docket of all comments should be maintained and be publicly posted on the IDSA website. The IDSA/AAN/ACR guidelines should be reconciled with the guidelines of ILADS. All value judgments by the panel, particularly those pertaining to the patient’s role in risk/benefit assessment, should be carefully delineated together with the basis for such judgment. Panel members should not be selecting or reviewing work of their own or their fellow panel members to avoid abusive self-citation that perpetuates their own biased viewpoint in a highly contested area of medicine. Panel members with conflicts of interests, including those related to diagnostic testing, should be eliminated from the panel. Panel members who were subject to investigation by the Connecticut Attorney General for antitrust violations in connection with the 2006 IDSA Lyme disease guidelines development process or the copycat guidelines (e.g. those of the AAN) highlighted in that investigation should also be eliminated from the panel. Guidelines should undergo rigorous external peer review by all interested parties. Responses to comments should be made public.